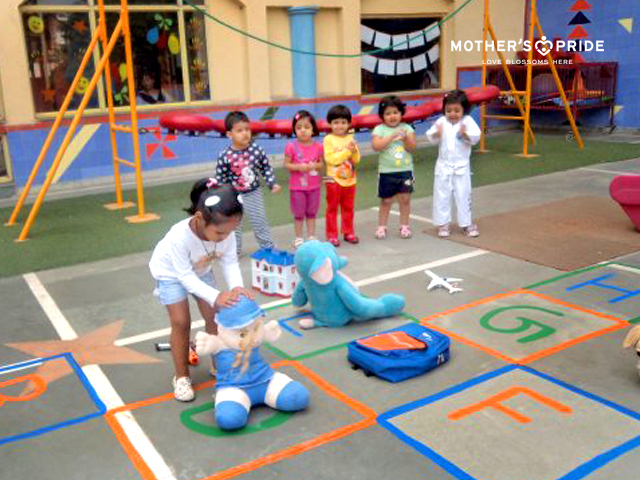 Hopscotch was drawn on the floor in the play zone area to draw child’s interest to the activity. Letters A to H which were covered so far in class were written in the boxes. 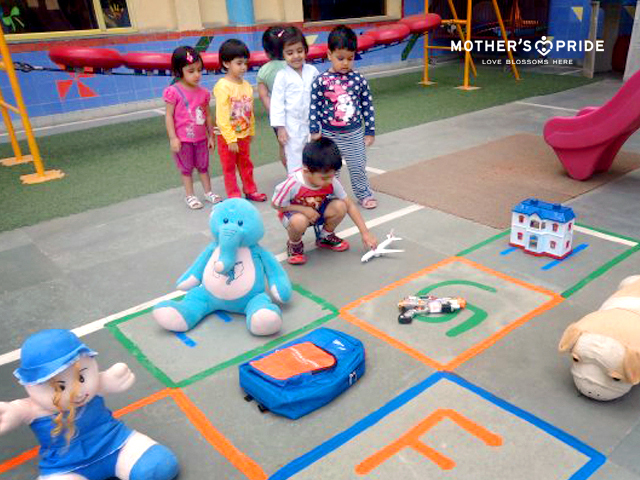 Teachers then placed few toys related to each letter and the Children were asked to pick the toy and place it in the box co-relating to the letter. 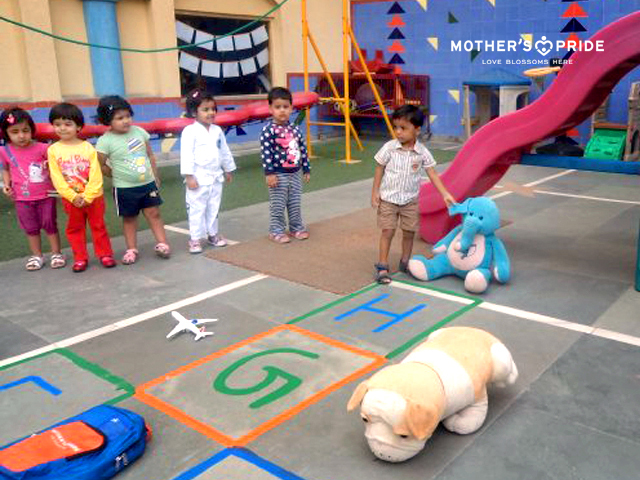 The entire activity enhanced the children’s conceptual and physical development by stressing on the gross motor skills like picking and walking etc.